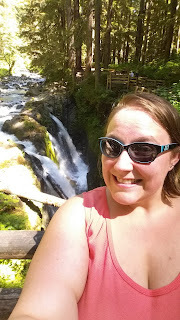 The next stop on our drive to La Push was the Sol Duc Falls. 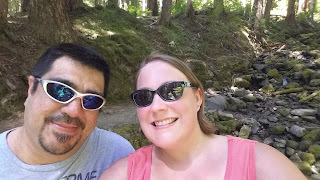 It was at Olympic National Park and I was so excited that I found this place for us to hike and go check out. It was definitely an amazing experience. 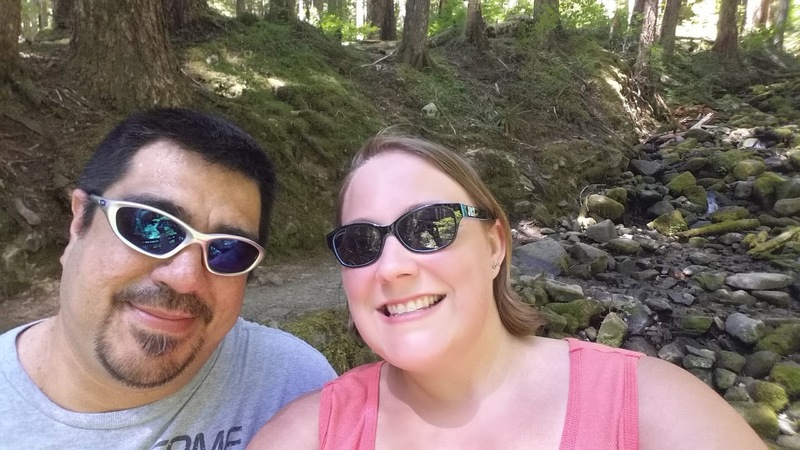 The hike was 0.8 miles to the falls and the same distance back. The hike was not too bad. It had some up hill and down hill spots, but nothing I couldn't handle. You definitely had to watch your step though hiking here. They had roots everywhere and you could easily be tripped. We just took our time and enjoyed every step of the way! Listening to the roaring water falls was even more amazing. It is so peaceful and relaxing! The picture above was on our hike to the falls. This was the actual falls... SO BEAUTIFUL!